For more than 100 years now, Ford Motor Company has been selling mass-produced automobiles in the United States and around the globe. Known as one of the Big Three American manufacturers, Ford has attracted millions of loyal customers with a wide range of vehicles that offer considerable value. The automaker's trucks and SUVs have been especially popular. For decades, Ford's F-Series truck has been the best-selling vehicle in America. 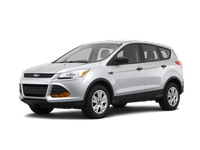 On this site you can read and download owners and service manuals for most common Ford sport utility vehicles, such as Edge, Explorer, Escape, Flex and Expedition. 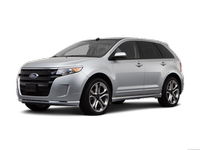 The Ford Edge is a midsize crossover SUV available in four trims: SE, SEL, Limited and Sport. The SE comes with air-conditioning, 17-inch alloy wheels, a tilt-and-telescoping steering wheel, reclining rear seats and a six-speaker sound system with a CD player and an auxiliary audio jack. The SEL and Limited trims boast luxuries such as heated seats, the MyFord Touch interface and a back-up camera. The Sport is similar to the Limited but also has 22-inch wheels, a sport-tuned suspension, unique bodywork and transmission paddle shifters. 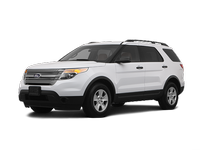 The Ford Explorer is a large three-row SUV that can accommodate up to seven passengers. There are four trim levels: base, XLT, Limited and Sport. Though even the base version comes well-equipped, moving up the list provides luxuries such as leather seating, the Sync voice command system, a rearview camera, keyless ignition/entry and upgraded audio systems. In addition to its potent engine, the Sport trim features a sport-tuned suspension as well as unique interior/exterior trim details.